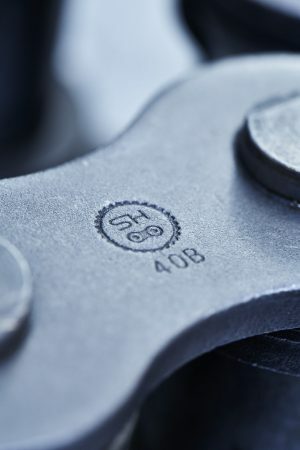 The side plates of our chains are stamped with the old SH logo from 1974 and this will continue. 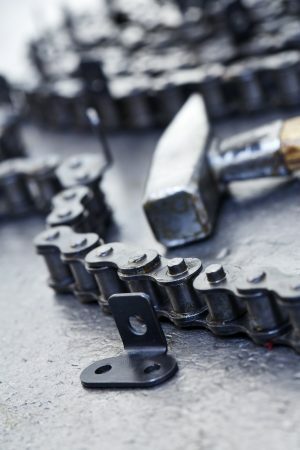 We take pride in our experience with chains and are not afraid to say that we have a great deal of expertise. 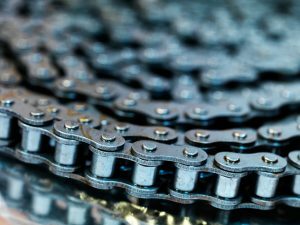 We have an extensive range of roller chains in various designs, which enables us to supply most industries. The range includes “figure 8 side plates”, straight side plates, hollow pins, double pitch and O-rings. The chains are available in both British Standard DIN 8187, American Standard DIN 8188″ and “Werksnorm”. All in simplex, duplex and triplex versions. The chains are supplied in steel, stainless steel, anticorrosion, lubricated for life, galvanised and delta pin design. 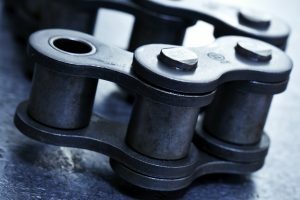 In our chain workshop we offer to make and adjust chains with brackets and carriers for specific customer requirements. This also includes special lengths and other add-ons which enables us to deliver your customised solution on demand. Please contact us for more information. We are confident that we can support your performance.